03:11 – Oni explains Furukawa’s comments about “Nintendo leaving consoles behind” Spoiler alert: it’s not happening. 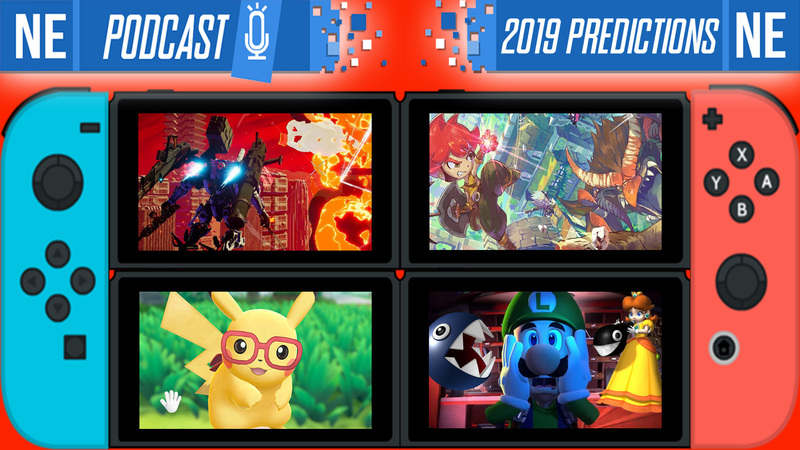 37:27 – Games in 2019: starting with Daemon X Machina! 44:11 – Pokemon 2019! What innovations we want to see. 56:56 – Luigi’s Mansion 3! Luigi needs a partner who is brave, and we know who it should be! 1:22:00 – What Wii U ports deserve to come out on Switch this year? Galen & Oni both have strong contenders. 1:29:39 – Hardware revisions. What’s real and what’s unrealistic? Listener Bonus: Help the show grow and support us by giving a ☆5 STAR☆ iTunes review, likes and comments on YouTube, and share the Spotify playlist with your Nintendo-loving buddies! This week’s background music is the OST for the indie game Oxenfree, by the artist scntfc. And our outro music this week is the Main Theme of the GRIS Soundtrack by Berlinist.